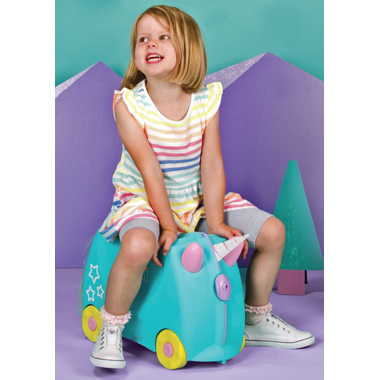 Una the Unicorn, with her magical powers was designed to beat the boredom suffered by travelling tots. 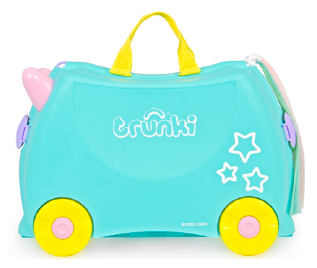 Trunki is a hand luggage-sized ride-on suitcase that tots can pack with all their favourite belongings whilst parents keep them in tow. Added play factor - comes with a silky rainbow tail and glittery horn and stickers. 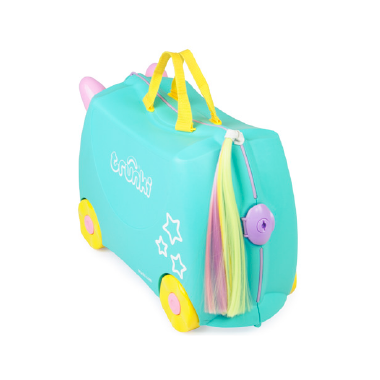 Designed to be used as hand luggage*, kids can pack Trunki with all their favourite belongings whilst parents keep them in tow. It’s made from the same lightweight yet durable plastic as adult suitcases, and we test it to the extremes to make sure it can take all the wear and tear an excited 3-year old can throw at it. They’re so confident of the quality, that they offer a free 5-year guarantee from manufacturing defect with every Trunki purchase. 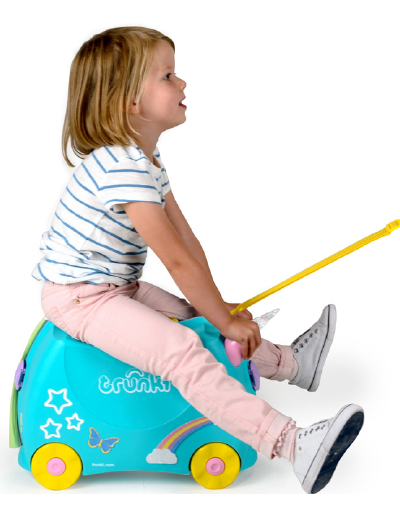 Recommended for ages 3+ up to a maximum ride-on weight of 50 kg / 110 lbs. COMFY SADDLE - Rest tired legs in queues and you'll never hear ""my feet hurt"" again!